YJ Whois 2 is enhanced version of our YJ Whois module. With build in default Joomla Modal js and easy to edit CSS style this module is all yu need to start your domain registration service. 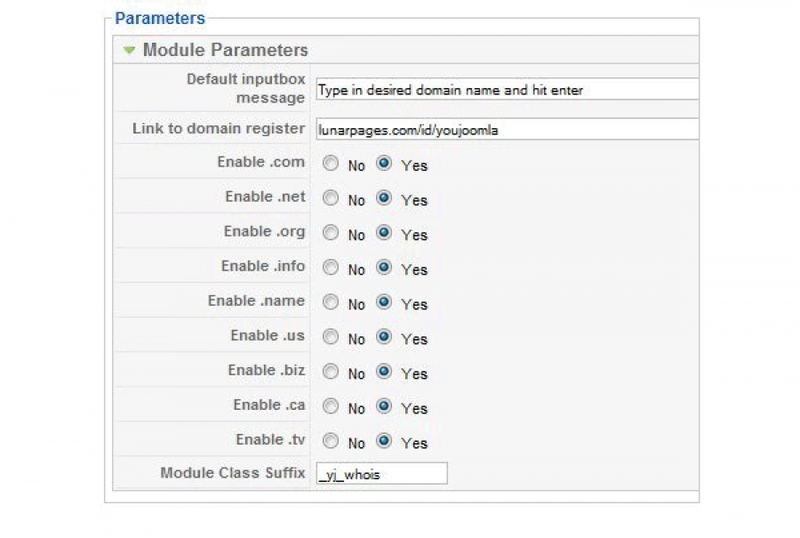 With added parameters to disable or enable specific name servers , option to add your domain register affiliate link and easy Joomla Module setup .